Can Spurs upset the odds and take an advantage into the second-leg at the Etihad Stadium or will Guardiola's men continue their superb run of form? Tottenham Hotspur host Manchester City in the first Champions League game to be held at their new stadium. It is an all English meeting in the Champions League quarter-final as Spurs welcome the Premier League leaders on Tuesday night. Spurs have only ever made it to the quarter-finals once before in 2011 under Harry Redknapp but suffered a heavy defeat to Real Madrid. For the second year in a row City face English opposition in the quarter-finals but this time will hope for a better outcome. Mauricio Pochettino's scraped out of their group after they failed to register a win after the first three games. However, victories over Inter Milan and PSV Eindhoven at Wembley and then a draw at the Nou Camp confirmed their place in the final 16. Spurs then disposed of Borussia Dortmund in a convincing 4-0 win over the two legs. As for City, Pep Guardiola's men topped their group with ease having only lost one game. With their place in the knockout stages confirmed, their place in the final eight was comfortably earned with a 10-2 aggregate victory over Schalke 04. The Lilywhites will remain without Eric Dier and Erik Lamela through injury but Fernando Llorente will be in contention to feature. Serge Aurier has returned to training but will not play a part following picking up an injury on international duty. Sergio Aguero is set to make his comeback after missing the previous two games through injury. Kyle Walker should also feature against his former side alongside left-back Benjamin Mendy. Pochettino was full of praise for the City manager in his pre-match press conference and said they are capable of completing the quadruple. 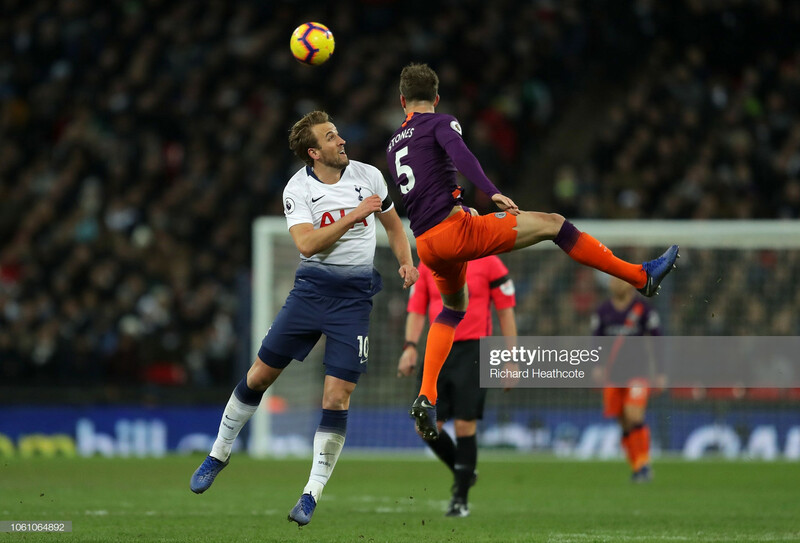 "If one team is capable of winning everything it is Manchester City today," said the Argentine, who has urged his side to be "aggressive" in their second competitive game at their new home," said Pochettino. "I think they know and he [Guardiola] knows that we are brave playing football, going forward, being aggressive and trying to be protagonists. "We are going to be aggressive and try to play and beat them," he said. However, Guardiola is concerned about how fresh his side will be after their game on Saturday at Wembley. "I don't know how fresh we are in our legs and in our minds," said Guardiola, whose side are unbeaten since 29 January," Guardiola said. "In the FA Cup we could have been better." "The stadium is what it is, the supporters support the team more than ever in the Champions League. "It's up to us how we handle it. We have to know how to handle the situations, if we don't that's because we are not prepared to go through," he added.